Huawei Kenya held a media briefing at their Kenya headquarters near Lavington. 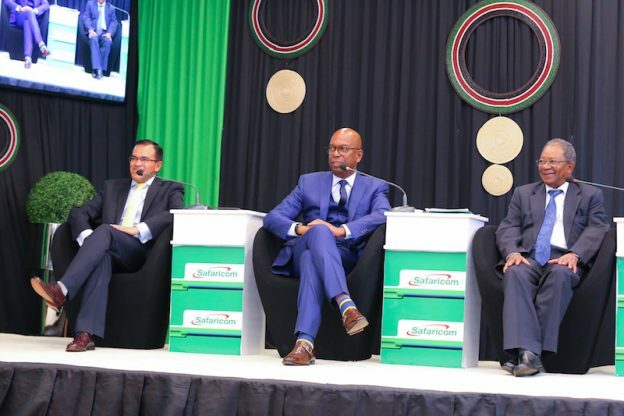 This was refreshing as last year when they were to do a demonstration of the Nairobi Smart Cities project; they scaled it down as soon as they heard the Cabinet Secretary was not going to show up for the event. Huawei has been operating in Kenya for 19 years since 1998. They have done lots of projects mainly in the telecommunications space; they rolled out networks for Safaricom and Telkom Kenya and also launched the Ideos, the $100 smartphone with Google and Safaricom. 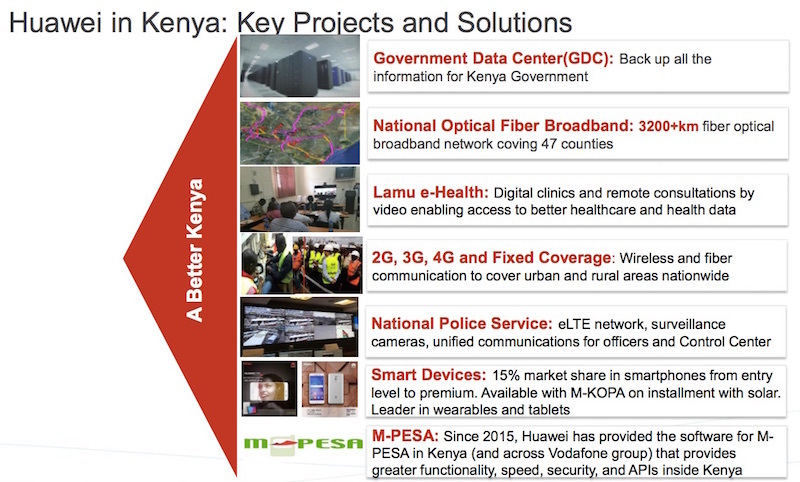 The Huawei Kenya representatives spoke about ongoing projects with the government such as cloud services for the entire Kenya government, roll out of government fibre to all 47 counties, and police security & 4G networks. 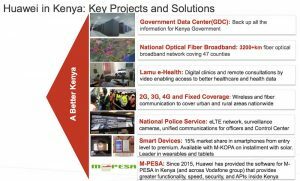 Since 2015 they also provide the software for M-Pesa for Vodafone to roll out across Africa and the world. They also provide about 2/3 of the infrastructure of Safaricom and also power M-Kopa solar payment systems. Huawei is a $75 billion company with 180,000 employees (80,000 who work in R&D), and operate in 170 countries. It is entirely employee-owned by 81,000 employees in China while the founder/CEO owns 1.4% of the shares. They have 300 staff working in Kenya and provide about 100 scholarships a year for Kenyans to study in China. In 2016, Huawei sold 139 million smartphones – (number three behind Apple and Samsung). They work hard to combat the reputation that Chinese means ‘low quality’ and Huawei is the world biggest patent filer, and have been granted over 62,000 patents. They spend over $10 billion a year in R&D – and build their own its own chipsets, batteries, and some phones have three antennas etc. to optimize their phones. This entry was posted in China, ideaexchange, Kenya ICT, Safaricom, vodafone on June 19, 2017 by bankelele.